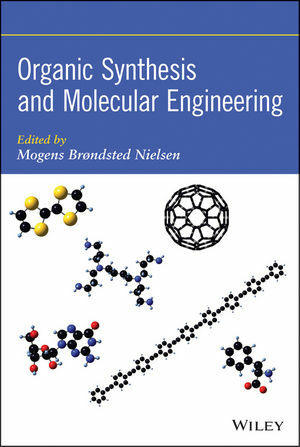 Using a synthetic approach to organic materials chemistry, this book sets forth tested and proven methods and practices that make it possible to engineer organic molecules offering special properties and functions. Throughout the book, plenty of real-world examples demonstrate the countless possibilities of creating one-of-a-kind molecules and supramolecular systems to support a broad range of applications. The book explores applications in both materials and bioorganic chemistry, including molecular electronics, energy storage, sensors, nanomedicine, and enzyme engineering. Organic Synthesis and Molecular Engineering begins with core concepts, molecular building blocks, and synthetic tools. Next, it explores molecular electronics, supramolecular chemistry and self-assembly, graphene, and photoresponsive materials engineering. In short, it offers everything researchers need to fully grasp the underlying theory and then build new molecules and supramolecular systems. MOGENS BRØNDSTED NIELSEN, PhD, is Professor of Organic Chemistry at the University of Copenhagen, where he teaches courses in advanced organic chemistry, heterocyclic chemistry, and supramolecular chemistry. Dr. Nielsen has published more than 100 peer-reviewed papers, monographs, and book chapters.